was held a wedding ceremony between Dian Pelangi with Tito prasetyo. Dian look very pretty wearing a white wedding gown with a touch of middle eastern. 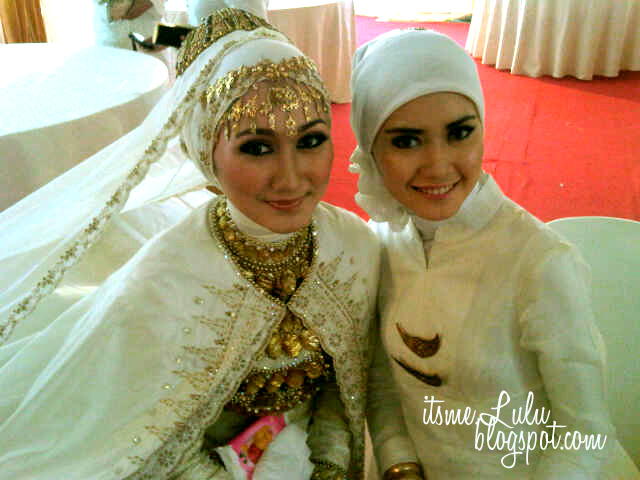 And we'r wore white dress with a blend of Palembang songket. Thank you dear Atika, you have taken our pictures.